UPDATED: Sun., Sept. 23, 2018, 11:56 a.m.
Hello Sugar plans to open a second location. The popular mini doughnut shop opened its first location in June in Kendall Yards. A second store is in the works in Spokane Valley. Construction on the new spot, located in the Ponderosa Village development, has already started. It’s slated to open in early 2019. 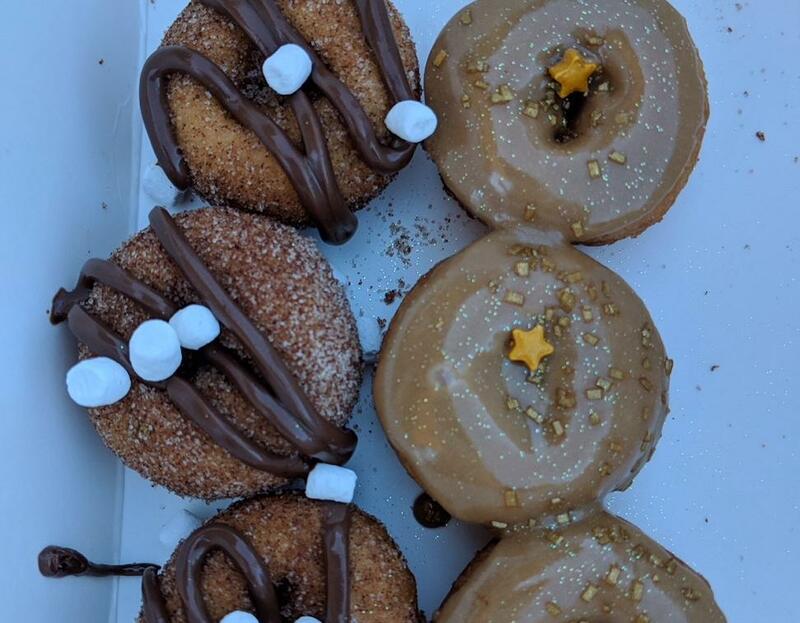 The new location will offer the same mini doughnuts as the original Kendall Yards location, which opened on National Doughnut Day on June 1 with lines wrapped around the building. Doughnuts at Hello Sugar are made to order as customers watch and are available by the half-dozen or dozen. There are six standard flavors, plus a seasonal option. Toppings are where the flavor comes from. The signature Hello Sugar doughnut is dressed with powdered sugar and edible sparkles. In fact, edible glitter is a hallmark of Hello Sugar’s mini doughnuts. The Cocolala is vanilla-coconut flavored. The topping for the sea salt-and-maple flavor is similar to a maple bar and is decorated with a gold sugar star. The Dutch baby flavor is reminiscent of a lemon crepe with powdered sugar and a lemon slice. The strawberry shortcake comes with powdered sugar and strawberry jam. And the Summit comes with Nutella and mini marshmallows. Gluten-free versions are also available. The flagship location shares space with Indaba Coffee Roasters at 419 N. Nettleton St. in Kendall Yards. On the web: hellosugarspokane.com. Published: Sept. 21, 2018, 2:10 p.m. Updated: Sept. 23, 2018, 11:56 a.m.